Free Quotes & Estimates. Click Below to Call. 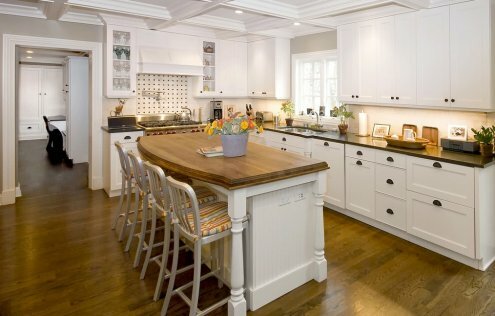 In need of a Kitchen Remodel? General Home Remodeling or Contracting work? ​Contact us today for a Free Estimate, by clicking the call button at the top of this page. Renovating your home can be a massive headache if you're going at it alone. Whenever you set out to remodel that bathroom or renovate the kitchen, it's best to call on an experienced Corpus Christi General Contractor who has dealt with just about every type of job. Whether you're wanting to completely renovate a space, or simply change out some surfacing or fixtures, we can be the perfect general contractor and help you accomplish your goals. We have decades of experience in Corpus Christi with general contractors jobs, commercial contracting jobs, project management, building maintenance, residential and commercial construction and contractor jobs, and much more. Residential and commercial projects alike, we strive to provide the best service and advice that you will find compared to any General Contractor in Corpus Christi TX. You can count on our General contractor and home remodel crews to get your home renovation done right. We strive to be on time, under budget and deliver on every aspect of your project. If you have an idea for a kitchen rehab or a bathroom rehab or just a project that needs to be tacked by a general contractor professional in Corpus Christi, we can help you out. Renovations are our strong suit, and we know the trade very well. With decades of experience in remodeling, renovation and general Contractor tasks, we know the most efficient and affordable ways to get the general contracting jobs done right. We've been in Corpus Christi for years, and we have worked in just about every neighborhood. So we understand the challenges that different parts of town can cause. If you're on the South Side, we understand that foundation issues can play into the renovation of your home. While if you're on the island, there may be an island-style layout that you're more fond of. This is what we live for, and Corpus Christi is where we live. Most contracting companies in Corpus Christi don't have the experience to allow them to make the best decisions for your space. Our crews, on the other hand, are seasoned contracting pros. We will set up a free consultation with you, at your home, to go over exactly what your dreams are for your space. After we have listened carefully and understood the bathroom rehab, kitchen update or contracting job that you have in mind, then and only then, will we begin to offer our suggestions based on experience. We understand that a renovation is the carrying out of YOUR dream, not our own. We want to make sure that any job that we do for our clients is 100% based off of their needs & wants and better than all other general contractors Corpus Christi has to offer! Kitchen renovation is one of the contracting job types that we excel at. If you have a kitchen space that needs updating, renovating, or a complete overhaul, we can help you. We can take your ideas for your dream kitchen and make them a reality. We start with a consultation to meet with you and see exactly what your vision is for the space. We take everything into consideration and make sure we're delivering on YOUR plans and vision, not our own! 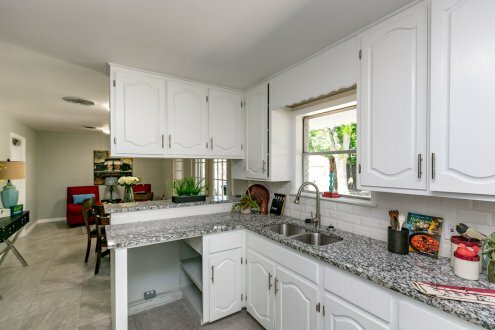 We've successfully completed a large amount of kitchen rehab jobs in Corpus Christi, and we want your kitchen to be next! We're the Home Remodeling specialists, and we want to give you great value and turn your "house" into a "home". Your home, and especially your kitchen, is a place where you should be comfortable, relaxed and satisfied. We want to help you accomplish that through the use of home renovation and kitchen redo! Our General Contractors company has been known as one of the most reliable construction businesses in the Corpus Christi area for years. Our knowledge of certain types of construction jobs and custom construction projects is what truly sets us apart. Having years of experience is something that is priceless in the contracting industry, and also serves to keep our crews and contractors safe while on the job. More experience means a more safe and streamlined operation. Home Reno in Corpus Christi has always been one of our company’s strong suits, and we intend to keep it that way. We always earn the trust and respect of our clients by providing quality work that is both on budget and delivered within the allotted time frame. Our contracting company and home rehab crews partner with several other companies and crews here in Corpus Christi to make sure we can service any job that comes our way. There is no project that we can’t take on! This is another reason we are the best bathroom updating, kitchen remodeling and general contracting company in town. We are completely flexible to the needs of our clients and fellow Corpus Christi residents. Everything we do is based on one simple concept. Our general contracting business in Corpus Christi, TX serves the people that we call our customers. Without “serving”, or industry doesn’t truly help people. We’re not here to simply build and construct, we’re here to serve. At General Contractors Corpus Christi, we understand that it’s ALL about serving. From bathroom renovation that helps tie your house together, to kitchen remodeling that lets your family enjoy a meal together. We want to serve you so your home can be a better place for your family to do “life”. Most General contractors in Corpus Christi, TX are all about getting jobs done without ever having to deal with “customer service”. But we can confidently say that customer service is now of our strong suits. We know how a general contractor business is supposed to be run, and that’s from the top down. Additions, Kitchen demo, and rehab, full home update… we do it all, and we do it better than any other general contractor.